Below is a video tour of my grandfather's fishroom. He's expanded a LOT in the past year, and he has many gorgeous Betta enisae and Betta mahachai to show for it! My grandfather was able to bring a pair of B. mahachai to the 2014 IBC Convention in San Jose, CA, where they won 2nd place in the wild bubblenesters class! They were flaring the entire time they were un-carded (which is rare for wilds at shows - they are usually too scared to move). I love wild bettas! I wish that I had more time and space to devote to their conservation. I currently maintain Betta rubra, which is a gorgeous medium sized mouthbrooding betta that I have been wanting to keep for a long time. They are more peaceful and can be easily jarred (to prevent the females from forcing the males to mate all the time!). Their bold red and black bars are to die for, as well as their exaggerated fin extensions and spade tails. My grandfather is working with Betta mahachai, and I am amazed at how friendly and feisty his F1 mahachai are! I will probably try to maintain mahachai as well in the future :) He also maintains the huge and beautiful Betta enisae! On an impulse, I picked up some US Native pygmy sunfish collected by John Boylan after he gave a very interesting talk on fish collecting. I was amazed at the variety and brilliant colors of the US Native fish, and hope to be able to expand into that hobby later on. The Elassoma I obtained from John are so far undescribed, and are being called, "Elassoma species affinis evergladei Elberta, Alabama" right now (what a mouthful!). Interestingly, a lot of members in the San Francisco Bay Area Killifish Association have had trouble spawning pygmy sunfish. I have figured out a system that works very well for me, and hopefully I can also give these to as many breeders as possible. I also picked up a pair of ﻿Heterandria formosa﻿. I have seen several new fry and will soon be creating their own separate page once I can get some decent pictures of them. Lately, unfortunately, it seems like I only have 3 males - I have a sneaking suspicion that the Elassoma ate all of their fry! Hopefully I can get some more in the future. Update: Miraculously, I found fry! I think one of the "males" might have been a female? I honestly have no idea where they came from. But now I have a tank full of them again! Lastly, I used to maintain Betta burdigala, Betta smaragdina, Aphysosemion bitaeniatum, and Blue Gularis "Loe" (Aphyosemion sjoestedti). However, for the smaragdina and the Loe, I decided to move on to smaller species that did not require individual jarring due to male aggression. The bits never really spawned well for me, and I only had a handful of females and males to show for my efforts. 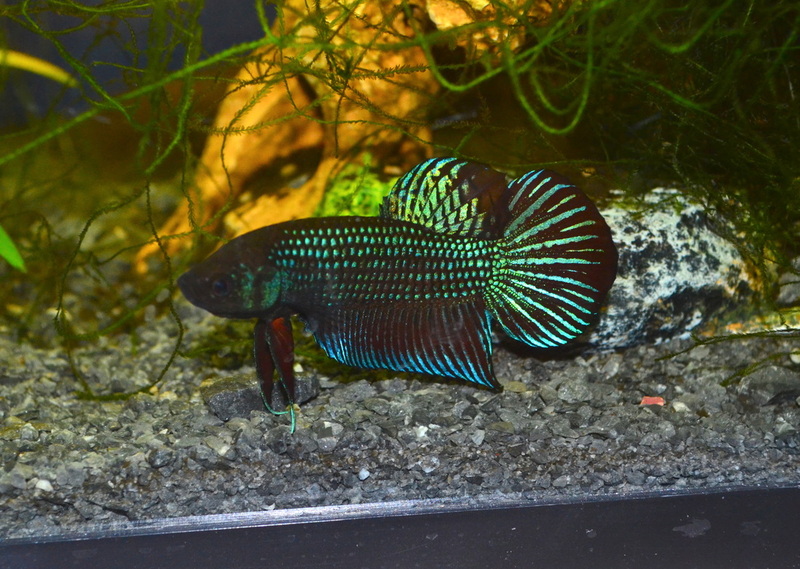 I do have one very sassy male Blue Gularis "Niger Delta" that is purely a pet! 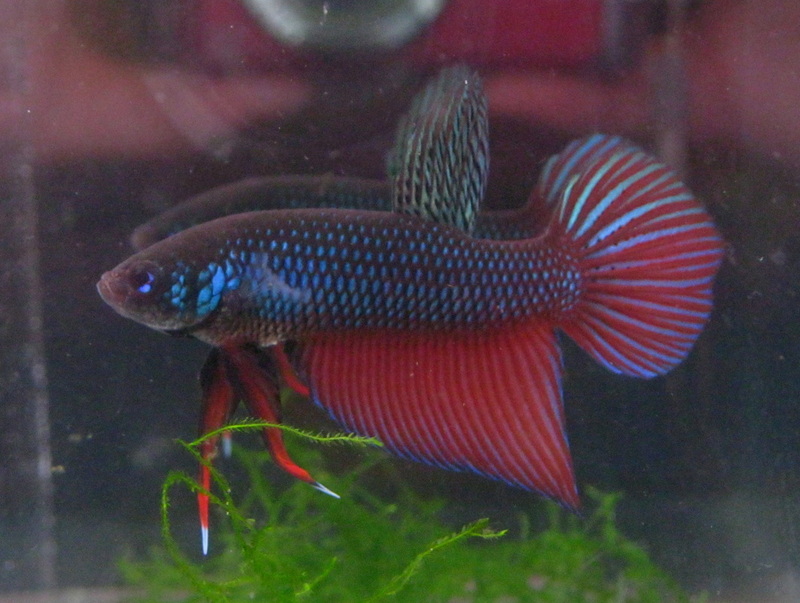 I also recently dropped the burdigala in favor of focusing on Betta rubra. I hope to return to these species in the future! Foundation Betta smaragdina from Thailand. My grandfather's Betta mahachai. He has devoted his fishroom to Betta mahachai and Betta enisae.